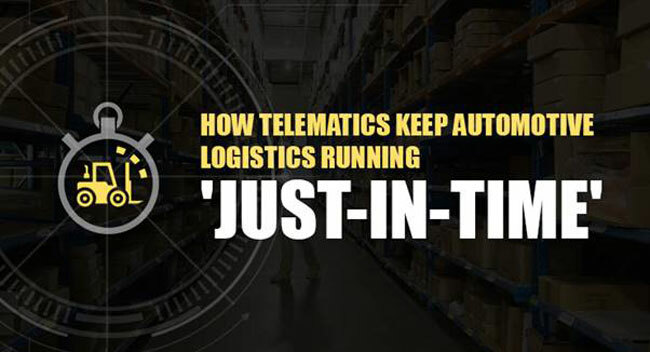 How telematics and automotive logistics are working together to support ‘just-in-time, just-in-sequence’ production. Logistics is the heart of our production system, a BMW board member stated recently. Under pressure to reduce cost, respond faster to bespoke customer requirements and deliver more complex products, the automotive industry has led the way in developing complex logistics that support lean manufacturing processes with a ‘just-in-time, just-in-sequence’ delivery of materials. 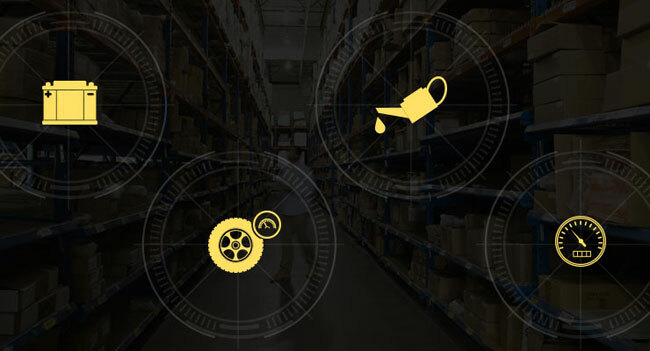 Learn more about you can support complex logistics and lean manufacturing processes. Telematics blends telecommunications with informatics to provide businesses with real-time data about remote objects, such as vehicles. It allows them to track where any or all of their essential supplies are at a given point in time. But it’s not just about location and length of journey. Telematics has evolved to be able to collect and transmit all kinds of valuable information that could be used to deliver productivity gains. As a result, the use of telematics is growing exponentially. An RAC telematics survey found that 64% of transport and distribution businesses and 62% of manufacturing business are now using telematics. So what is the role of telematics in automotive logistics today? 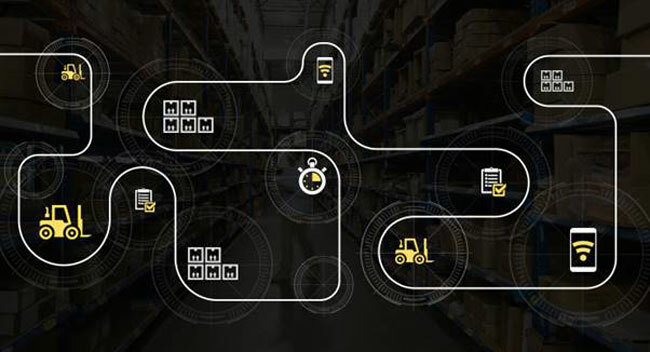 BMW has already implemented a sophisticated Transport Management System (TMS) between its packaging site and overseas plants as part of a longer-term ambition to create a connected supply chain. 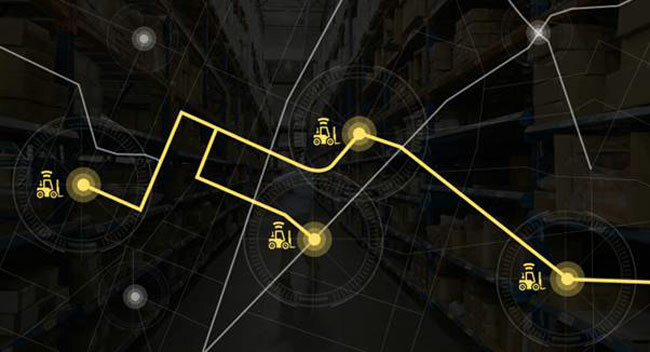 The TMS provides transparency into supply by integrating transport and route information across logistics carriers combining GPS data that tracks materials and delivery confirmations. This data is viewed via a ‘cockpit’ that provides each job function with a tailored dashboard of information about materials flows and inventory. For example, a materials planner may be able to spot any damaged parts earlier in the process. This would give them time to re-order the parts, rather than having to arrange a costly emergency delivery by air. Telematics gives business increased visibility of what vehicles, and their operators, are doing – powerful information for fleet managers. Access to this data helps them to spot trends and issues earlier and make operational recommendations based on facts. Telematics can be used to support the monitoring of compliance with site regulations and standards such as maximum speeds. It can also be applied to modify routes to optimise journeys. Jaguar Land Rover uses telematics to get a better view of its outbound supply chain and improve the delivery of vehicles to its dealerships. Using geofencing technology means that Jaguar Land Rover can pinpoint the exact location of each vehicle to within two parking spaces, as well as where vehicles are at port of entry and exit, and when they have been delivered to the dealer. Telematics removes the need for manual intervention by compound operators, who would otherwise need to scan terminals or input data on a computer, and so speeds up communications with the dealerships. Effective vehicle management, with timely maintenance to avoid the disruption of downtime, is a key driver for businesses adopting telematics. Jaguar Land Rover also monitors battery life, tyre pressure, fuel content and odometer information. Operatives can use the data provided to avoid potential delays to delivery by identifying the vehicle affected and resolving issues in the field. Hitachi Capital Vehicle Solutions is installing telematics in all its new commercial vehicles to capture data on vehicle condition and health. This will allow failing parts and components to be changed before they cause a breakdown. They will also enable additional functionality if customers want to collect data about driver behaviour or location. When telematics was first introduced, many businesses worried about how their drivers and operators would react to being so closely monitored. However, the technology is now widespread and the benefits so clearly understood that it has become a vital part of fleet management. Telematics and automotive logistics make a perfect partnership to provide the level of supply chain visibility the industry needs today. Telematics allows you to collect data in real-time from objects like vehicles, including details about location and condition. The data captured from telematics can be used to avoid or minimise delays to schedules by modifying routes or identifying vehicle issues faster. Telematics will play an increasingly important role in monitoring vehicle health and condition to optimise fleet availability.